No other reasons for the war exist. Ukraine is now fighting to bury the Soviet Union in the minds of some people, President Petro Poroshenko said during an official visit to Poland on 2 December. "The Soviet Union is not in a document, and not in the Belovezha Forest. The Soviet Union is in people's minds. In this sense, the Soviet Union has not yet been buried. 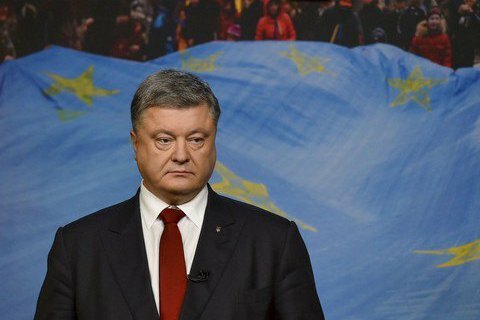 And, forgive my frankness, Ukraine is now fighting to bury the Soviet Union in the minds of some people, because there is no other reason for war," Ukrainian president told a Ukrainian-Polish conference of the series "Leadership Forum". The president reminded that 25 years ago Ukraine gained independence because it did not want to be part of the Soviet Union and no longer wanted to be a Soviet colony. "[Ukraine] wanted to be a democratic, free, legal European state. Over 25 years this feeling and this desire of Ukraine and of Ukrainians has only strengthened. We do not want any part of the Soviet colonial past - neither its old nor new versions," Poroshenko said. In turn, the President of Poland Andrzej Duda stressed that his country has always sought to have free and independent countries on its eastern borders. Earlier, Ukraine and Poland announced plans to create an institute of good-neighborliness, which will create "a real atmosphere of reconciliation and and historical truth."